JUNE 17, 2016. (Sonoma County, California). 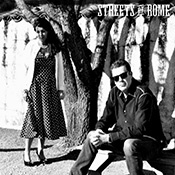 Catholic singer-songwriter recording artists Streets Of Rome announced today the release of their 25thoriginal song on iTunes and other digital music sites. With its newest Internet single, “Back To The Same Old Thing,” Streets Of Rome continues to redefine the Catholic music genre, creating faith-based songs rooted in real life stories of hope, love, freedom, healing, and redemption. Formed in 2013 in Sonoma County – in Northern California’s wine country – the band features personal lyrics, a variety of musical compositions and production styles, and performances by special guests featuring some of the most talented musicians from around the San Francisco Bay Area. Like many of the band’s previous independently-produced studio and live recordings, “Back To The Same Old Thing” takes listeners on a journey that is at once personal, spiritual, and geographic. Beginning with its debut EP “Fifty Years Before The Mast” Streets Of Rome has brought a unique voice and perspective to the emerging contemporary Catholic music genre. With over 1 billion Catholics worldwide, this represents one of the largest under-served “niche” music categories in the world today.